Because the creator of the work chooses them. Under those conditions, you can judge a book by its cover. Its cover is an integral part of the creative work – is the writer’s expression of what her/his book is about. I have come to see, over a couple of years, I’m on what I’m going to call now the anarchist end of indie. In cover terms, that means, to my mind the idea isn’t to look ‘just like a trad cover – you can’t tell it isn’t.’ No, no, trad covers are ugh, we’re here to fix what’s wrong with them. This is your chance to get out of the rut. I don’t care if your cover’s not quite up to scratch in production values – what interests me is your creativity (doesn’t mean you have to draw it yourself. If you can, I’ll be wowed). It’s about the idea. Put into a picture your idea of your book, and I’ll learn about your book in a way I can’t from a market-standard cover. Indies can be artisans and craft their books as objects too, inside, outside. When I love an indie cover, I think I’m in tune with the writer and am likely to love the story. Trad doesn’t have that chance at self-expression, nor that additional data when I try to pick whether I’ll like a book. Indie: Today stands for Individual Fiction. 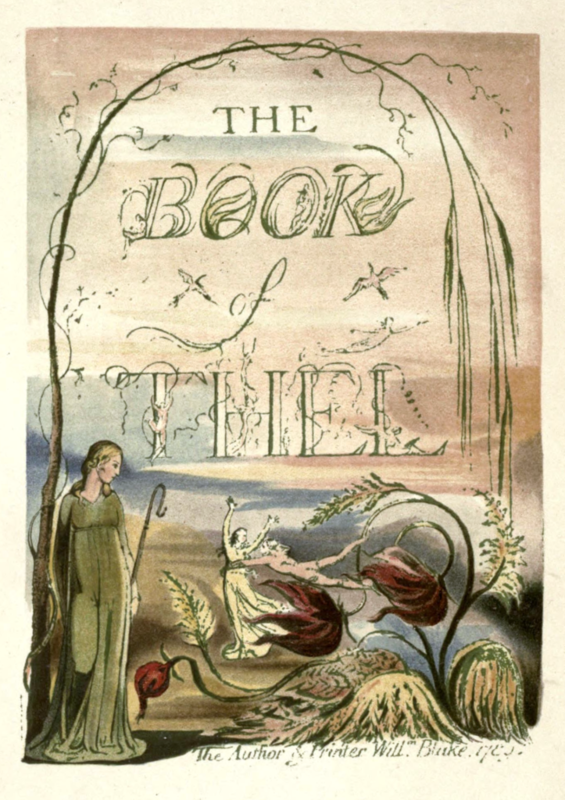 Title page by ‘The Author & Printer Will.m Blake’, a patron saint of indie. This entry was posted in spirit of indie by Bryn. Bookmark the permalink. Oooh! Talking about covers. Can’t wait to see the new one! I won’t lie. I haven’t a clue yet.